Her Majesty's Theatre, The Maj is one of Melbourne's most iconic venues for live performance, has been entertaining Australia since 1886. No other theatre has done more to foster the development of the major theatrical art forms. Ballet, opera and musical theatre can all trace their origins to The Maj. The Maj was the birthplace of Ballet in Australia. The focal point of Opera in Australia from 1886 to 1969 and the theatre of choice for Dame Nellie Melba. Gilbert and Sullivan Opperettas were a mainstay at the theatre from 1899 to 1962. The Maj was the flagship theatre for J.C. Williamson's for a large part of the 20th century. The list of stars who have performed at The Maj reads as a who's who of the greatest names in international and Australian show business. Her Majesty's Theatre, owned by Mike Walsh AM OBE, is the premium theatre in the East End Theatre District, which was formed in 2014. This is the most extensive theatre district in the world outside of Broadway and the West End, and is the theatrical heart of Melbourne. From the original, elegant façade of the 1886 building through to the superb Art Deco luxury of the renovated interior of the 1930s, Her Majesty's Theatre wears her style well and she welcomes you to share it with her. The authorised ticket sellers for this venue are Her Majesty's Theatre and Ticketek. Tickets purchased through unauthorised a re-seller such as Ticketmaster Resale, Viagogo, Ticketbis, eBay, Gumtree, Tickets Australia, Queen of Tickets or otherwise, may be refused entry. 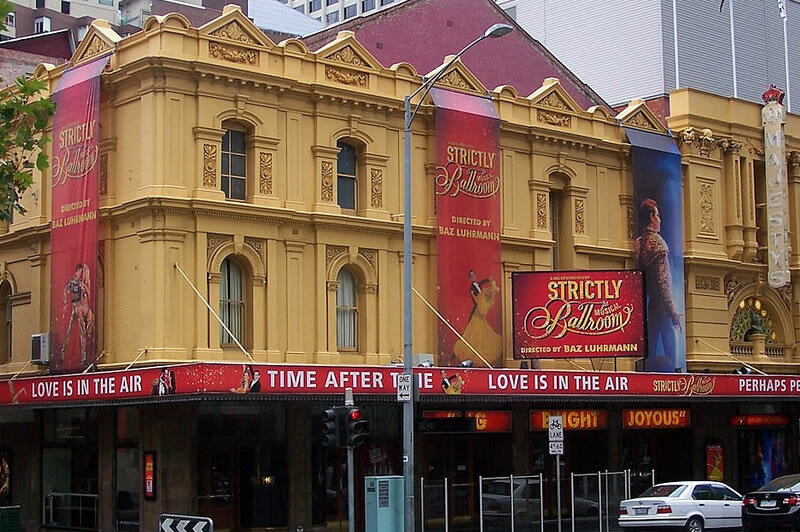 Her Majesty's Theatre has a special offer if you PREBOOK with Secure Parking, 59 Lonsdale St, Melbourne. At the end of the booking process enter the promo code; HMT2018 You must book online and pay BEFORE arriving at the Parking Station. For full information about Melbourne's public transport, visit PTV. You will find maps, timetables, ticket prices and other information to make getting around Melbourne easy.